Want a Better Workout? Drink Coffee. There's a seemingly infinite market for workout boosters, supplement-laden drinks that purport to take your exercise capacity to EXTREME levels. But new research shows that one of the best workout supplements might already be one of your daily habits: coffee. If you think I’m just a biased coffee-holic, you’re probably right. But I’ve also seen the studies that suggest coffee protects against heart disease, diabetes, Parkinson’s disease, liver cancer, and more. The point is, if you’re not drinking coffee, you probably should be (albeit without 4,000 calories of added sweeteners and saturated fat), and if you’re an athlete of any kind, you should consider taking a double dose. Show me an athlete, I’ll show you a person who's well versed on the performance-enhancing benefits of caffeine supplementation. In fact, caffeine is considered a “controlled or restricted substance” by the International Olympic Committee (IOC), with limits set on urine tests to 12ug per milliliter by the IOC and 15ug per milliliter by the NCAA. Granted, to exceed those limits, an athlete would need to drink a lot of coffee (or ingest an excess of supplements), so legality of use is rarely an issue in sports. But that doesn’t mean it isn’t a well-known, often-used ergogenic substance. In fact, according to the American College of Sports Medicine, the optimal dose for maximizing exercise performance while minimizing the likelihood of adverse effects (you know, the runs, jitters, and anxiety) is about 3 to 6 milligrams caffeine per kilogram body weight. That means a 150lb person should consume between 200 to 400 milligrams caffeine, or about 1 to 4 mugs of brewed coffee, about an hour before a workout to enjoy its benefits. If everyone has known for a long time that caffeine is a potent performance-enhancing drug, what makes this new study so special? 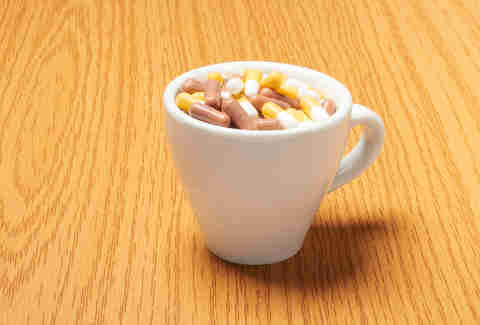 To date, most studies looking into caffeine and performance enhancement haven’t used coffee as the tested variable; they used caffeine pills or powders, which tend to be easier to administer and control. While you might assume you can correlate the ergogenic benefits of caffeine pills to those of coffee, you’d be wrong. Coffee, while caffeinated, also contains many other compounds and chemicals that could limit or reduce the performance benefits of taking caffeine alone. In fact, it’s been an assumption in the athletic community that coffee isn’t actually as beneficial for performance as caffeine pills. Lead researcher Simon Higgins and his associates wanted to determine whether that was actually true. They poured over more than 600 studies on caffeine and performance to identify and review those that specifically looked at coffee as the randomized, controlled variable. Unfortunately, the pickings were slim. Only nine of the 600 studies used coffee as the controlled variable, which certainly indicates more research should be done. Still, of the nine studies, five of them had significantly positive results, and when athletes consumed between 3 to 9 milligrams of caffeine per kilogram bodyweight, endurance performance improved by 24%. How can I use coffee to get in the best shape of my life? Well, like any performance enhancer, you still have to put the work in, but unless you exercise right before bed, there’s certainly no harm in downing a couple cups of Joe before a workout to help propel you through your conditioning routine. Of course, any change you make to your body should be treated cautiously, so ease into the practice if it's not part of your routine already. If your bowels tend to respond quickly to coffee, certainly don’t drink a cup right before you hit the treadmill. No one wants the inevitable results. Drink a cup or two with your normal pre-workout snack about an hour before you head to the gym. If your insides remain intact with a single cup of coffee, you can consider gradually increasing your serving to two to four cups. Also, remember that more doesn’t necessarily equal better. If you down too many cups of coffee, the shakes and jitters are bound to kill your focus and performance. Just like there’s a “good buzz” during drinking games and a “sloppy-drunk-can’t-hold-a-quarter-much-less-bounce-one buzz,” there’s a sweet spot when it comes to drugging up on coffee. Finally, keep in mind this study looked primarily at coffee consumption in relation to endurance exercise, such as running, cycling, and swimming. 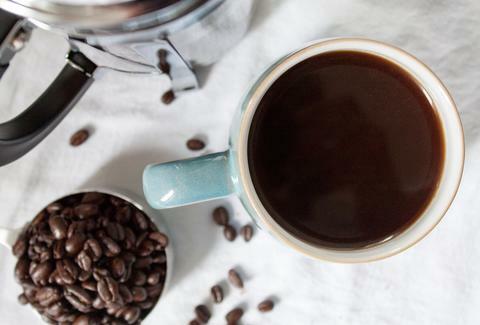 While many other studies indicate caffeine is beneficial during short, intense bouts of exercise (for instance, sprints or strength training), there simply haven’t been enough studies on coffee and performance to draw a strong conclusion.